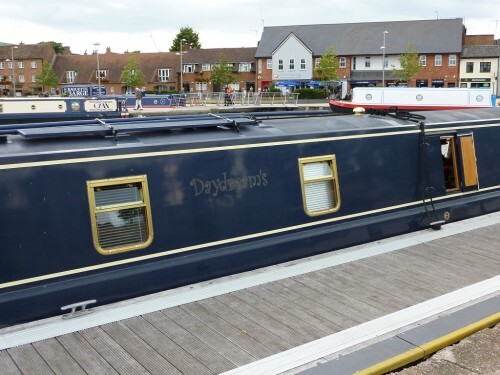 I guess the owner of this boat moored on the river Avon in Stratford-upon-Avon could be called “Daydream”…? And “Curlz” font? Someone’s going to get set upon by a gang of outraged barge-painters. Technically that’s not the river Avon. It’s the canal that ends next to the river Avon. You’d never get a barge on the river – it’s too dangerous!